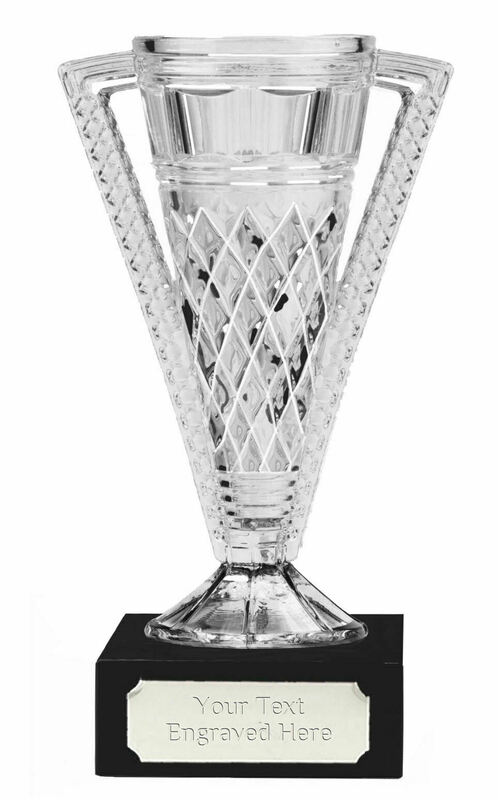 A beautiful lead-free crystal cup which is mounted on a black marble base. The cup has a cut glass design all round and flared handles to the side. The cup is perfect for any event and can have the details engraved onto a plaque on the marble base. For engraving we recommend 3 lines of 15 characters per line, including spaces. We engrave in an easy to read font.